I spend a good bit of my time in Denver, Colorado, and Tampa, Florida, two cities that have their fair share of urban infill projects. 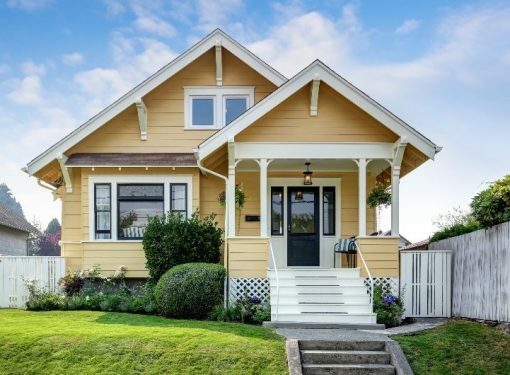 In both cities, and in dozens more like them across the country, older homes closer to the city are being either completely remodeled or torn down to make room for new homes. I’m partial to the remodel vs. tear down but in either case I am a fan of the influx of more modern home designs. How about you? Why Are Modern Homes Popular? When I think of the driving force behind the growing popularity of modern home design, the word “simple” comes to mind. In the case of modern design, I think the word simple refers to a feel more than practical simplicity. Other words that might fit are clean, utilitarian, open, industrial and maybe pragmatic. I gravitate to the word “simple” because I think one of the real draws of modern design is the lack of visual complexity. Straight walls, smooth surfaces, fixed glass, clean floors, structured landscaping, square edges: These features are pleasing to the mind and easy to take in very quickly. In a world with so much going on all the time, it’s nice for the house to be straightforward. If you browse through some modern home listings or drive around your city and look at some of those urban infill homes I reference, you’ll notice a common feature. Modern homes incorporate exterior lighting as a key design feature, adding drama to a smooth wall or otherwise basic design. The great news is that you can do this at your home right now! 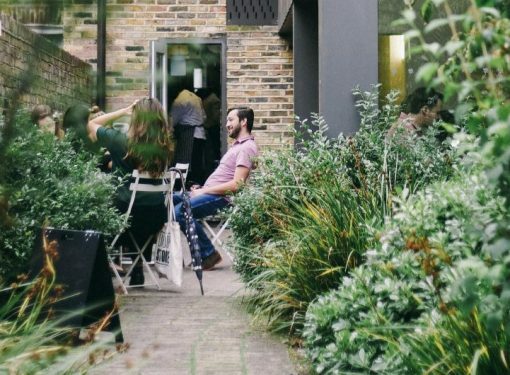 Whether you already live in a fairly modern home, are redesigning your exterior to be more modern or simply want to add some architectural lighting to your exterior, here are five great places to start. In modern home design, walls are the most common thing illuminated. This trend has as much to do with the light fixtures as it does with the wall that’s being lit up. Modern exterior wall sconces look great during the day and add some interest to the otherwise blank wall. At night, they create a light pattern that is really very intriguing. There’s a real art to deciding what light pattern works best and how to make multiple lights work together to create a geometric pattern that will turn heads. Liberal use of glass is an important aspect of modern home design. Garage doors with glass, front doors with glass and large panes of glass in either casement or fixed windows are all staples of the look. When it comes to lighting up these architectural features, the answer is often found indoors. Drive around in the early evening and you’ll notice that the modern homes often glow from within, almost like Japanese lanterns. This is intentional and part of the allure of modern homes. You can duplicate this in your home through the use of more simple windows, translucent shades and interior lighting designed to illuminate the openings without forcing the interior rooms to be at full brightness in the evening. Contemporary design often includes some sort of architectural “bam” element. That could be a splash of color, a single wall of natural material such as stone or wood or a massive cantilevered overhang that provides shelter for a porch or entry. These are great opportunities to provide some up-lighting that illuminates the feature itself without drawing any attention to the light source. The small overhang of a split-level home is a great opportunity to make this a DIY project. In any home design, modern or otherwise, outdoor living areas are the perfect places to flex your outdoor lighting muscles. The addition of lighting to these areas not only increases your evening curb appeal, it also increases your livable space! By creating outdoor spaces that are useful in the evening, you’re inviting some of life’s most enjoyable moments. When the weather is cooperative, outdoor living in the nighttime hours is magical. And lighting is the key. Modern home design tends to fall on one extreme or the other when it comes to landscaping. In tropical climates, it’s not uncommon to see modern homes that are almost hidden behind a gauntlet of palm trees and banana leaves. 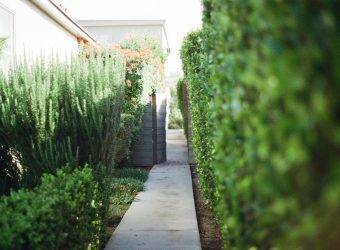 In colder climates, it’s more common to see the usage of very sparse landscaping that brings the focus onto the house and hardscape features of the property, such as pathways. In either case, a little bit of lighting can go a long way toward making landscaping a true part of the designed environment in the evening. Both in daytime and at night, the addition of a few key exterior accessories is another go-to move in contemporary urban home design. Think about address numbers, mailboxes, exterior hardware on doors and gates and even the occasional piece of straight-up modern art, such as a sculpture. All of these look awesome during the day, and with a little lighting love can make all the difference at night. The key to all of this is keeping your eyes open. When you’re driving around or looking at homes online, pay attention to what makes you go “wow!” Take pictures, make a file, do whatever you need to do so that you can remember those ideas and then, when you’re ready, you can light and accessorize your home like a pro! I can’t wait to see it!